Copyright © 2005 Peter Cristofono - This image is copyrighted. Unauthorized reproduction prohibited. 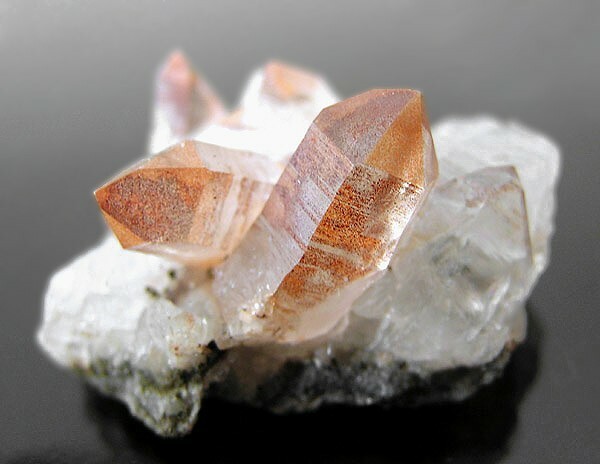 Colorless quartz crystals to 16 mm with a dusting of orange-red hematite. Photograph by Peter Cristofono.